Teaching is a complex and multifaceted task. A list of methods or techniques for teaching would include many ideas and examples, and a full discussion of them would fill volumes. It is possible, however, to cluster them into some general areas of teaching methods, skills, or approaches that are essential to effective teaching. This section will address some of these important areas. When deciding which methods to use in teaching, it is important to remember that methods and skills are only means to an end, not an end in and of themselves. Teachers should select methods that will best help students understand the content, doctrines, and principles of a particular scripture block and that will facilitate edification and application. Keeping in mind the purpose for using a specific skill or technique will help teachers implement it in a more meaningful way. It is also important to remember that without the Spirit, even the most effective teaching methods and approaches will not succeed. Asking effective questions is one of the most important skills a teacher can develop. Questions can engage students in the process of understanding the scriptures and help them identify and understand important gospel truths. Questions also help students reflect upon how the gospel has influenced their lives and to consider how they may apply gospel principles now and in the future. Asking effective questions can encourage students to invite the Holy Ghost into their learning experience through exercising their agency and fulfilling their role in the learning process. It is worth great effort to carefully craft questions during lesson preparation that will lead to understanding and engage the minds and hearts of the students as they learn. When planning questions, a teacher should first determine the purpose for which they are asking a particular question (for example, a teacher may desire to have students discover information within a scriptural passage, to think about the meaning of a passage, or to share testimony of the truthfulness of a principle). The teacher should then thoughtfully design the question with that purpose in mind. A few carefully chosen words can make a great difference in whether or not a question results in the desired outcome. Teachers should strive to prepare and ask questions that stimulate thinking and feeling. They should generally avoid questions that can be answered with a simple “yes” or “no,” or where the answer is so obvious that the students are not motivated to think about it. Teachers should also avoid questions that could spark controversy as this may frustrate the students and create contention in the class, which grieves the Spirit (see 3 Nephi 11:29). When asking questions in class, it is important for teachers to give students time to think about their response. Sometimes teachers ask a question, pause for a second or two, and then when no one immediately responds, panic and give the answer themselves. Effective questions, however, often require thought and reflection, and students may need time to find the answer in the scriptures or to formulate a meaningful answer. On occasion it can be helpful to give students time to write down their answer before responding. Jesus Christ, the Master Teacher, used different types of questions to encourage others to ponder and apply the principles He taught. His questions varied depending on what He was seeking to bring about in the lives of those He was teaching. Some questions encouraged His listeners to think and to refer to the scriptures for answers, such as when He asked, “What is written in the law? how readest thou?” (Luke 10:26). Other questions were intended to invite commitment, as when He asked, “What manner of men ought ye to be?” (3 Nephi 27:27). Search questions help students build their basic understanding of the scriptures by inviting them to search for important details relating to the content of the scripture block. Because search questions encourage students to look for information within the text of the scriptures, it is helpful to ask such questions before reading the verses where the answers are found. This focuses the students’ attention and allows them to discover the answers within the scriptural account. According to Matthew 19:22, why did the rich young man leave feeling sorrowful? In 1 Samuel 17:24, how did the men of Israel respond when they saw Goliath? How did David respond in verse 26? What counsel did Alma give his son Shiblon in Alma chapter 38, verses 5–15? Answers to search questions should establish a foundation of basic understanding upon which other types of questions can then build to prompt greater understanding and application. The Savior’s question, “Whom do men say that I the Son of man am?” (Matthew 16:13) produced a background of information. The answers given by His disciples prepared them for the deeper and more poignant question, “But whom say ye that I am?” (Matthew 16:15). Analyze questions are usually asked after students have become familiar with the verses they are studying. They can invite learners to seek for a broader and deeper understanding of the scriptures. They can help students examine relationships and patterns or discover contrasts within the scriptures. Analyze questions almost always have more than one possible answer. Better understand the context and content of the scriptures. Identify gospel principles and doctrines. Develop a deeper understanding of those principles and doctrines. Helping students better understand the context and content of the scriptures. Analyze questions can help students expand their understanding of the scriptural text and events by helping them examine passages in the context of their historical and cultural background, or in the light of other passages of scripture. Such questions can also help students clarify the meaning of words or phrases and assist them in analyzing the details of the story line for greater meaning. This process prepares students to be able to identify principles and doctrines. How does Jesus’s explanation in Matthew 13:18–23 help us understand His teachings in verses 3 through 8? What differences do you see between Laman and Lemuel’s response to the angel’s direction and Nephi’s response? (see 1 Nephi 3:31; 4:1–7). What led to the loss of the 116 pages that prompted the Lord to counsel Joseph Smith that he “should not have feared man more than God”? (D&C 3:7). Helping students identify gospel principles and doctrines. As students develop their understanding of the context and content of the scriptures, they are better able to identify the principles and doctrines they contain. Analyze questions can help students draw conclusions and articulate clearly the principles or doctrines found in the scripture block (see section 2.5.1, “Identify Doctrines and Principles” on page 26). What principle is illustrated by Nephi’s success in obtaining the brass plates despite great difficulty? (see 1 Nephi 3–4). What doctrines concerning the nature of God can we learn from the First Vision? (see JS—H 1:15–20). What lesson can we learn from the effort made by the woman with the issue of blood to reach the Savior, and His response to her as a result? (see Mark 5:24–34). What would be evidence that we loved God with all our “might, mind and strength?” (Moroni 10:32). Why would praying always help you gain the spiritual strength necessary to overcome such temptations as speaking unkindly to others or participating in entertainment that is offensive to the Spirit? (see D&C 10:5). What behaviors and characteristics would you see in the life of someone who was building on the foundation of Christ? (see Helaman 5:1–14). Using what we have learned in Alma 40, how would you explain the doctrine of resurrection to a friend who is not of our faith? “Some questions invite inspiration. Great teachers ask those. 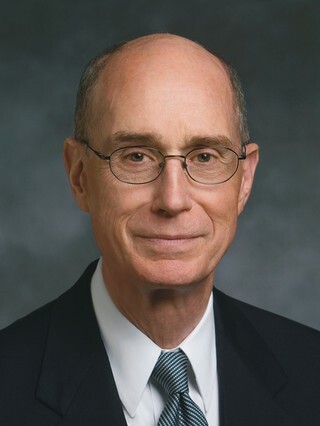 … Here is a question that might not invite inspiration: ‘How is a true prophet recognized?’ That question invites an answer which is a list, drawn from memory of the scriptures and the words of living prophets. Many students could participate in answering. Most could give at least a passable suggestion. And minds would be stimulated. “But we could also ask the question this way, with just a small difference: ‘When have you felt that you were in the presence of a prophet?’ That will invite individuals to search their memories for feelings. After asking, we might wisely wait for a moment before calling on someone to respond. Even those who do not speak will be thinking of spiritual experiences. That will invite the Holy Ghost” (“The Lord Will Multiply the Harvest,” 6). Such questions invite students to reflect on the past, to “search their memories for feelings,” and to think of their spiritual experiences related to the gospel doctrine or principle being discussed. Often, these questions result in students sharing those feelings and experiences or bearing testimony of a doctrine or principle. These questions help bring the gospel from students’ minds down into their hearts. And when they feel in their hearts the truthfulness and importance of a gospel doctrine or principle, they are more likely to apply it in their lives. When have you felt the peace and joy that comes from forgiving someone? Think of a time when the Lord directed your decisions because you trusted in Him rather than relying on your own understanding (see Proverbs 3:5–6). How were you blessed for doing so? If you could personally express your gratitude to the Savior for His sacrifice for you, what would you tell Him? How is your life different because of what happened in the Sacred Grove? When have you seen others respond faithfully to trials? How has that influenced you? A word of caution: Responses to questions of this nature can be especially personal and sensitive. Teachers should ensure that students never feel forced to answer a question, share their feelings or experiences, or bear testimony. In addition, teachers should help students understand the sacred nature of personal spiritual experiences and encourage them to share those experiences appropriately (see D&C 63:64). Ultimately, the aim of gospel teaching is to help students apply the principles and doctrines found in the scriptures and qualify to receive the blessings promised those who are faithful and obedient. Students who are able to see how they have been blessed by living gospel principles in the past will be more desirous and better prepared to successfully apply them in the future. Questions can play a vital role in helping students see how they can apply these principles in their current situations and consider how they can apply them in the future. What changes would you need to make to better keep the Sabbath day holy so that you can be more fully unspotted from the world? (see D&C 59:9–13). What is something the prophet has counseled that you could follow with greater exactness? (see Alma 57:1–27). How can the principle that if we seek the kingdom of God first, we will be blessed in other areas of our lives help you prioritize your goals and activities for the next two or three years? (see Matthew 6:33). Meaningful class discussions play a vital role in gospel teaching and learning. A class discussion occurs as teachers verbally interact with students and students verbally interact with each other in a manner that fosters learning. A good discussion can help students learn the significance of seeking answers to important questions and the value of listening to and learning from the comments, ideas, and experiences of others. It can also help students maintain a level of concentration and participation in class that often results in a deeper understanding of the doctrines and principles of the gospel being discussed, as well as a more genuine desire in their hearts to apply the things they learn and feel. Plan the discussion. Like other methods of teaching, a discussion needs to be carefully prepared and then conducted under the influence of the Spirit. The teacher needs to have thought how the discussion will help students understand what they need to learn, what series of questions will lead to that purpose, how to ask those questions in the most effective manner, and how to respond if a student’s answer leads the discussion in an unanticipated direction. Avoid excessive teacher commentary. Teachers who comment excessively on a discussion topic may discourage students from making the effort to participate because they have learned that their teacher is often anxious to provide the answer. Excessive teacher commentary can make students feel that their contributions are less valuable and cause them to lose interest. Invite all students to participate. Teachers should strive to find ways to appropriately invite all students to participate in meaningful discussions, even those who are hesitant to participate for various reasons. Teachers should be careful not to embarrass students by calling on them when they know the student is unprepared to answer. Sometimes a student or a small number of students tend to dominate class discussion. Teachers may need to visit privately with such individuals, thank them for their willingness to participate, express how important it is to encourage all class members to participate, and explain why they may not be called upon each time they volunteer to respond. Call on students by name. Calling on students by name to respond to a question or make a comment helps foster a learning environment of love and respect. Don’t be afraid of silence. Sometimes when asked an effective question, students may not immediately respond. This silence should not trouble the teacher if it does not go on too long. At times, students need an opportunity to reflect on what they have been asked and how they might respond to the question. Such reflection can facilitate instruction by the Holy Ghost. Rephrase the question. At times students may struggle to respond to a question because the question is not clear. The teacher may need to rephrase the question or ask the students if they understand what was asked. Teachers should avoid asking a series of questions in succession without allowing students adequate time to think deeply enough to formulate appropriate responses. Listen carefully and ask follow-up questions. Teachers are sometimes so concerned about what to say or do next that they do not pay attention to what students are saying. By observing and listening carefully to students, teachers can discern their needs and guide the discussion under the direction of the Holy Ghost. Teachers can make sure they understand the students’ answers by asking questions like “Can you help me understand what you mean by that?” or “Can you give me an example of what you mean?” Asking such follow-up questions will often invite a student to share more of what they are thinking and feeling and frequently invites a spirit of testimony in the response. Teachers should remind students to listen to each other as well and not to talk when someone else is speaking. Redirect student’s comments or questions. Many times class discussions follow a pattern where a teacher asks a question, a student responds, and then the teacher adds his or her insight to the student’s answer before asking the next question. Discussions can become much more meaningful, lively, and effective when a teacher redirects an answer or comment from one student to other students. Simple questions like “What would you add to that?” or “What are your thoughts on that comment?” can create a pattern where students respond to students. This often greatly enhances the learning experience. Usually, unless time is limited, all students who desire to make a comment should have an opportunity to speak. Acknowledge the response in a positive manner. When a student gives a response, the teacher needs to acknowledge it in some way. This can be a simple “thank you” or a comment about the answer. When an incorrect response is given, the teacher needs to be careful not to embarrass the student. An effective teacher can build on a part of the student’s comment that is correct or ask a follow-up question that allows a student to rethink his or her response. Reading the scriptures in class can help students become familiar with and better understand the verses they are studying. It can also help them become more confident in their ability to read the scriptures on their own. Teachers need to be careful not to embarrass those who do not read well or who are very shy. Students who prefer not to read aloud should not be forced to do so, but teachers can encourage them to participate in ways that they are more comfortable with. For example, assigning a short scriptural passage to a student beforehand so he or she can practice reading it may be an appropriate way for that student to participate in class. Have students read aloud, either one-by-one or in unison. Have students read to each other. Have students read a passage silently. Assign different students to read the words spoken by various individuals in a story. Read aloud to the students as they follow in their scriptures. While the importance of students taking an active role in the learning process is significant to their understanding and application of the scriptures, it does not replace the need for a teacher to appropriately present information at varying times while students listen. For the purposes of this handbook, those times when a teacher talks and the students listen will be called “teacher presentation.” When used appropriately, teacher presentation can enhance other teaching methods. If overused, however, this teacher-centered activity can reduce teaching effectiveness and limit a student’s opportunity to learn by study and faith. Teacher presentation can be very effective when summarizing large amounts of material, presenting information that is new to students, making transitions between various parts of the lesson, or drawing conclusions. A teacher might need to explain, clarify, and illustrate so that students can more clearly understand the context of a scripture block. A teacher may also emphasize key doctrines and principles and exhort students to apply them. Perhaps most importantly, teachers can testify of gospel truths and express their own love for Heavenly Father and His Son. When using teacher presentation, as when using any teaching method, teachers should continually be assessing students’ receptivity by asking themselves questions like: “Are my students interested and focused?” and “Do they understand what is being presented?” In the end, the effectiveness of this or any other method of teaching is determined by whether or not students are learning by the Spirit, understanding the scriptures, and desiring to apply what they are learning. The following ideas can help a teacher utilize this method more effectively. Plan the teacher presentation portions of the lesson. Occasionally, teachers carefully prepare other parts of the lesson but do not give the same attention to those portions of the lesson when they will be doing most of the talking. One of the concerns about teacher presentation is that students can easily become only passive participants in the learning experience. Therefore, teacher presentation also needs careful planning and preparation, which includes deciding how to begin and how to develop the instruction in a logical fashion. When planning the use of teacher presentation, teachers should carefully consider where it is particularly important for students to take an active role. Generally, as the lesson progresses from understanding the context and content of a scripture block to the discovery, discussion, and application of principles and doctrines, the importance of students taking an active role increases. Combine teacher presentation with other methods. An effective use of teacher presentation in the classroom is to use it as part of an overall lesson plan that incorporates other methods and approaches within the instruction. The presentation should be flexible enough to allow for change if it becomes obvious that students are bored or confused. In this way, even when the teacher is speaking, the focus remains on the students and on learning, and the teacher can make adaptations as needed. Someone once likened teacher presentation to the string in a necklace of pearls. The pearls are the various methods a teacher uses (questions, discussion, group work, audiovisual presentations, etc. ), but they are strung and held together by the teacher’s instruction and explanation. The string alone does not make an attractive necklace. Use appropriate variety. There are ways to introduce variety in teacher presentation. Teachers can avoid sameness by changing voice inflection, tone, and volume and by moving around the room as the presentation progresses. There can also be a variety in the kinds of material being presented. For example, teachers can relate stories, use appropriate humor, refer to pictures or other classroom displays, read quotes, use the board or audiovisual presentations, and bear testimony. Appropriate variety in teacher presentation should always enhance students’ ability to understand and apply the scriptures. Stories can help build students’ faith in the gospel of Jesus Christ. They can generate interest and help students understand the gospel through vicarious experiences. Stories can also be particularly effective in helping students understand gospel principles that have been identified within a scripture block. By illustrating a gospel principle in a modern context, in addition to the context of the scriptures, stories can help students understand how a gospel principle relates to their lives, as well as help them feel a desire to apply it. “Perhaps the perfect pattern in presenting faith-promoting stories is to teach what is found in the scriptures and then to put a seal of living reality upon it by telling a similar and equivalent thing that has happened in our dispensation and to our people and—most ideally—to us as individuals” (“The How and Why of Faith-Promoting Stories,” New Era, July 1978, 4–5). Teachers can share stories from the lives of the prophets and from Church history, as well as stories found in general conference addresses and Church magazines. They can also share true stories from their own experience. Some of the most meaningful and impactful learning experiences occur when teachers invite students to share stories from their own lives that illustrate how they were blessed by living a gospel principle. Some cautions and counsel should be noted about the use of stories. If the telling of stories becomes the dominant method or technique of teaching, the stories themselves can become the focus of the lesson, minimizing the actual time spent in the scriptures and overshadowing the doctrines and principles they teach. The use of too many stories from the teachers’ own life can result in personal aggrandizement and teachers “[setting] themselves up for a light unto the world” (2 Nephi 26:29). While stories can enlighten and enliven scripture teaching and help students feel the power of the Spirit, they should never be used for emotional manipulation. Teachers should be careful not to embellish the facts of a true story to make it more dramatic or impactful. If a story is not true, such as a humorous story that illustrates a point, it should be clearly stated at the beginning of the story that it is not true. It is sometimes helpful to divide the class into pairs or small groups so students can participate in a learning activity or discussion together. Small group activities can often allow a greater number of students to participate and can provide a safe environment where students can share feelings, thoughts, and testimony with each other. These activities can also provide opportunities for students to teach the gospel to others and help prepare them to teach the gospel in the future. Discussions in small groups can effectively involve those who seem to be losing interest and concentration, as well as enable students to develop communication skills and strengthen appropriate social and spiritual relationships. They can also instill confidence in reserved students, drawing out of them more meaningful participation. Prior to separating students into small groups, teachers should provide clear instructions of what students will be expected to do during the activity. It is often helpful to have these instructions written on the board or printed on a handout, allowing the students to refer back to them during the activity. Small group learning activities that are relevant to students’ lives and circumstances generally promote greater interest and participation. Assigning a student leader for each group as well as a specific time limit helps the group stay on task. Lengthy group activities often result in groups finishing at different times and can lead to disorder in the classroom. Generally students participate in the activity with greater interest if the teacher invites them beforehand to prepare to share with or teach the class something they have learned from the activity. This also provides opportunities for students to practice teaching the gospel to others. Students often work better in groups when they search the scriptures, read a quotation, or fulfill some other task individually before they gather together. In groups of five or more students, it can become difficult for each individual to participate meaningfully. In addition, larger groups generally have a more difficult time staying on task. Working in small groups might not be the best method for answering simple questions because of the time required to organize students into groups. When group learning activities are overused, they can become less effective. During small group discussions or assignments, students can become distracted from the purpose of the activity, visit on personal matters, or become casual in their efforts to learn. A teacher who remains actively involved by moving from group to group and monitoring the learning activity can help students stay on task and gain the most from the assignment. Teachers should invite students to participate in writing exercises such as note-taking, journal assignments, worksheets, personal reflection, and essays. Occasionally, inviting students to respond to a thought-provoking question in writing helps deepen and clarify their thinking. Inviting students to respond to a question in writing before sharing their thoughts with the class gives them time to formulate their ideas and receive impressions from the Holy Ghost. Students may be more inclined to share their thoughts when they have written them first, and what they share will often be more meaningful. Among other things, writing assignments provide students with opportunities to participate personally, receive inspiration, prepare to teach and share their feelings with others, recognize the Lord’s hand in their lives, and express testimony. 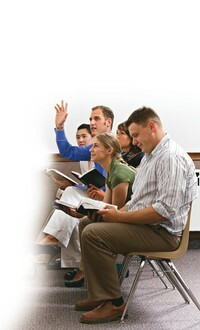 As teachers decide which writing exercises are appropriate for a learning experience, they should consider this principle shared by Elder David A. Bednar: “Writing down what we learn, think, and feel as we study the scriptures is another form of pondering and a powerful invitation to the Holy Ghost for continuing instruction” (“Because We Have Them before Our Eyes, New Era, Apr. 2006, 6–7). Writing exercises for students who are younger or whose abilities are more limited should be adapted to help them succeed. For example, a teacher could prepare a fill-in-the-blank exercise where more information is provided for students and less is asked of them. Teachers can help these students by focusing the writing assignment on short scriptural passages or specific questions and by giving them sufficient time to complete the assignment. Teachers provide clear, written instructions that students can continually refer to throughout the assignment. The activity focuses their thoughts on gospel truths that are relevant to their individual circumstances. The activity assists them in making personal application of those truths. Students are supported and assisted by their teacher throughout the writing activity. Time limits are established at intervals appropriate to the difficulty of the exercise. Students are invited to explain, share, or testify of something they learned from the activity. Students are assured that writing activities that focus on personal feelings or commitments will not be shared with others, including the teacher, without the student’s permission. The activity is a meaningful part of the lesson plan and is not given as “busy work” or as a punishment for misbehavior. Alternative methods of recording thoughts and ideas are provided for those who have difficulty writing. These may include having another student act as a scribe, making an audio recording, and so on. Writing activities are not overused. A well-prepared chalkboard or whiteboard can be evidence of the teacher’s preparation and add to a feeling of purpose in the classroom. Effective use of the board during the lesson can prepare students to learn and invite meaningful participation, especially for those who tend to learn visually. When using the board, teachers should remember to write legibly and large enough for everyone to see, making sure the material is well-spaced, orderly, and easy to read. Where a chalkboard or whiteboard is not available, a large piece of paper or poster board can fill the same purpose. On the board, a teacher can outline the major points or principles of the lesson, diagram a doctrine or an event, draw maps, develop flow charts, display or draw pictures of things found in the scriptures, create charts showing historical events, list things from the scriptures as students find them, or do a multitude of other activities that will enhance learning. It is often difficult to teach the intangible aspects of the gospel. Using objects and pictures can be an effective way for teachers to help students understand spiritual principles. For example, a familiar object like soap could help students understand a more abstract principle like repentance. The Savior often referred to earthly objects (like bread, water, candles, and bushels) to help His listeners understand spiritual principles. Objects and pictures can be used to help students visualize what the people, places, events, objects, and symbols in the scriptures looked like. Instead of just talking about yokes (see Matthew 11:28–30), a teacher could bring a yoke to class, show a picture of one, or illustrate it on the chalkboard. Students could smell and touch a flower as they read about the “lilies of the field” (Matthew 6:28–29). They could taste unleavened bread. Objects and pictures, including maps and charts, can be effective in helping students visualize, analyze, and understand the scriptures, especially when they are used to stimulate a discussion. Having an object or picture on display as students enter the classroom can enhance the learning climate and encourage a spirit of inquiry within the students. There are two cautions to consider when using objects and pictures: First, they should always reinforce the purpose of the lesson rather than detract from it. Second, the scriptural account should always be the source for the class discussion of the setting and details of an event, rather than an artist’s interpretation of the event or story. The scriptures are filled with accounts of the Lord helping His children understand His teachings through sight and sound (see 1 Nephi 11–14; D&C 76; Moses 1:7–8, 27–29). Audiovisual and technology resources, when used appropriately and effectively, can help students better understand the scriptures and learn and apply gospel truths. Audiovisual resources can portray important events from the scriptures and can help students visualize and experience these events. These resources can dramatize how people apply gospel principles to overcome their challenges and problems and can provide opportunities for the Spirit to bear witness of the truth. Computer technology allows teachers to show video segments; to display important questions, images, or quotations from General Authorities; or to highlight principles and doctrines identified during a lesson. Computer presentations can also be used in much the same way a chalkboard or whiteboard might be used—to outline key points of the lesson, display scripture references, and provide visual instructions for pair, group, or individual learning activities. Using technology in these ways can benefit students who learn visually and can help students to organize and better understand what they are learning. The use of audiovisual, computer, or other technology resources should help make lessons clear, interesting, and memorable and should not distract students from feeling the impressions of the Spirit. Audiovisual presentations can best help students learn and apply gospel principles when they are used to stimulate thoughts and feelings and engage students in the scriptural text. It may be helpful to write on the board specific things students could look for or questions they may consider as they watch or listen to the presentation. There may also be value in pausing during the presentation to ask questions or to point out information that will help students. Many times only part of an audiovisual resource is necessary to accomplish the teacher’s purpose. Teachers who incorporate other methods, such as discussion and writing exercises, in conjunction with the use of media and technology enhance the likelihood that gospel principles will be understood and internalized. Where available, using the subtitle feature on audiovisual presentations may increase understanding and retention for students, especially for those who have difficulty hearing. When using audiovisual resources or computer technology in a lesson, teachers should set up the equipment before class starts and ensure that it works properly. They should also ensure that all learners will be able to hear the presentation and see it from their seats. Before class, teachers should prepare the audiovisual or computer resource to begin in the right place when needed in the lesson. It can also be a good idea for teachers to practice using the technology for the presentation before using it in the lesson. Does the resource help students learn what is important? Audiovisual presentations can be very entertaining or impressive to students, but does it directly contribute to the purposes of the lesson and to what students need to learn? Using these resources for entertainment or as time-fillers are not sufficient reasons for their use. Teachers should watch or listen to any presentation before using it in class and ensure that it reinforces or supports the scriptures and the doctrines and principles taught in the lesson. Is it a resource to the lesson or its main focus? Elder Boyd K. Packer counseled: “Audio and visual aids in a class can be a blessing or a curse, depending upon how they are used. They might be compared to spices and flavorings that go with a meal. They should be used sparingly to accent or make a lesson interesting” (Teach Ye Diligently, rev. ed. , 265). Is it appropriate and in keeping with Church standards? Is it edifying? Many products produced in the world may carry a good message but often come with undesirable content that can offend the Spirit or condone ideas that are not in harmony with the teachings of the gospel. A video or audio segment, even if appropriate, should not be used if it comes from a source that contains inappropriate material. Items that are controversial or sensational usually do not build faith and testimony. Will it violate copyright or other applicable laws? Many videos, songs, and other audio and visual materials have use restrictions by virtue of copyright laws or user agreements. It is important that all seminary and institute teachers and leaders follow the copyright laws of the country in which they are teaching and that they are in compliance with applicable laws and obligations so that neither they nor the Church are liable for legal action. The following guidelines apply to seminary and institute teachers and leaders in all countries. Unless otherwise indicated on the Church-produced material, teachers and leaders can copy and show films, videos, images, and musical recordings that were produced by the Church for noncommercial Church and seminary and institute uses. Music from Hymns, the Children’s Songbook, and Church magazines may be used for noncommercial Church and seminary and institute uses, except where a restriction is expressly noted on the hymn or song. Seminary and institute teachers and leaders can download and show Church-produced materials in class, unless such materials contain a restriction stating otherwise. As a general rule, programs, software, and audiovisual materials should not be downloaded from the Internet or shown in class from the Internet unless the appropriate licenses have been purchased. Unless a video, song, or other audiovisual material is owned by the Church, there is a significant risk, in any country, that showing such material in class may violate copyright laws. Therefore, as a general rule, seminary and institute teachers and leaders across the world should not show their classes materials that are not produced by the Church. Duplication of media containing copyrighted music (such as sheet music or musical recordings) is a direct violation of copyright law unless written permission has been given by the copyright owner. Duplication of copyrighted lyrics to a song is also illegal without permission. The following guidelines specifically outline some exceptions to United States copyright law that would allow seminary and institute teachers and leaders in the United States to show video clips in class without first obtaining a license from the video’s copyright owner. While similar exceptions exist in other countries, seminary and institute teachers should contact the Intellectual Property Office to determine the specific laws and exceptions that apply to their particular country before showing video clips from commercially-produced videos or programs recorded off the air or from the Internet. Use of commercially-produced videos. United States law includes an exception that allows teachers and students to use commercially-produced videos in class without purchasing a license to do so. In this regard, however, commercially-produced videos can only be used under this exception if all of the following conditions are met. The video clip shown must be: (a) from a legally made copy; (b) used in face-to-face teaching, meaning a seminary and institute teacher or leader should be present while the clip is shown; (c) shown in a classroom or similar place devoted to instruction; (d) shown by a nonprofit educational organization, such as a seminary or institute class; and (e) shown for a teaching purpose that is directly related to the course curriculum and not for entertainment. Showing rented or purchased commercial media before, during, or after class merely as entertainment is illegal and dishonest. This would almost always be the case when a full movie is shown. Use of programs recorded off the air. In the United States a television program that is offered without charge to the general public and is recorded off the air, or from cable, can be used in the classroom only if the following conditions are met: (a) The copy is retained no more than 45 days, and then it must be erased immediately. (b) The copy is used in the classroom only within the first 10 days following the date the copy was made (following the first 10 days, but still within the first 45 days, the copy can only be used for teacher evaluation or to determine whether the program should be used in future lessons). (c) The copy is only shown once (twice only if instructional reinforcement is necessary). (d) The copy is only shown in a classroom or similar place devoted to instruction. (e) The overall message or content of the program is not altered. (f) The copy may not be duplicated for sharing with others. (g) Any copy must include the copyright notice for the program as recorded. (h) The program is not merged with segments (physically or electronically) of different programs to create a teaching compilation or other product. In addition to the preceding requirements, clips from commercially produced videos and programs recorded off the air or Internet should: (a) only show a portion of the video or program; (b) be used without any modification or editing to the program itself; (c) not be used in a manner that suggests that the program’s creators or owners endorse the Church, seminaries and institutes or their teachings, or in a manner that suggests that the Church or seminaries and institutes endorse the program or its creators or owners; (d) not be used in a manner that arguably promotes the Church or seminaries and institutes; and (e) be used in accordance with any known content restrictions and Church policy. Music, especially the hymns of the Church, can play a significant role in helping students feel the influence of the Holy Ghost in their gospel learning experience. In the preface to the Church hymnbook, the First Presidency stated: “Inspirational music is an essential part of our church meetings. The hymns invite the Spirit of the Lord, create a feeling of reverence, unify us as members, and provide a way for us to offer praises to the Lord. “Our sacred music is a powerful preparation for prayer and gospel teaching” (“Worship through Music,” Ensign, Nov. 1994, 10, 12). Teachers should help students understand the importance of music in worship and how it can help create a climate where the Spirit can function more effectively. Have inspirational music playing as students come to class or during class while they are working on a writing assignment. Invite and encourage students to participate meaningfully when singing hymns together as a class. Review gospel principles and provide additional insights during the lesson by singing a hymn or a verse of a hymn that is directly related to what is being taught for that day. There is both a scriptural and a topical index in the back of the hymnbook that can be helpful in this regard. Provide opportunities where reading the words of the hymns can help students build and express testimony of the doctrines and principles of the gospel. Invite students to perform appropriate musical numbers in class. 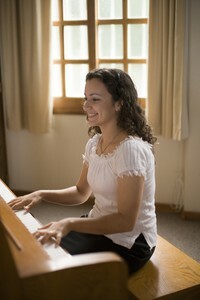 When making decisions about using music in the classroom for any purpose (such as background music, scripture mastery, or memorization), it is important to remember the following caution from Elder Boyd K. Packer: “There have been a number of efforts to take sacred gospel themes and tie them to modern music in the hope of attracting our young people to the message. … I do not know how that can be done and result in increased spirituality. I think it cannot be done” (That All May Be Edified , 279). Ultimately, it is the teacher’s responsibility to make sure that any music used in the learning experience is in harmony with Church standards and that it is in no way offensive to the Spirit of the Lord. While a desire to build good relationships with students is appropriate, the desire to be praised, if unrecognized or unchecked, may cause teachers to care more about what the students think of them than they do about helping the students learn and progress. This often leads teachers to substitute methods that are intended to enhance their image in the eyes of the students for methods designed to invite the Holy Ghost. Teachers who fall into this trap are guilty of priestcraft because they “set themselves up for a light unto the world, that they may get gain and praise of the world” (2 Nephi 26:29). Teachers should be careful that their use of humor, personal stories, or any other teaching methods are not done with the intent of entertaining, impressing, or winning the praise of students. Rather, the focus of all religious educators should be to glorify Heavenly Father and to lead their students to Jesus Christ. President Howard W. Hunter taught: “I am sure you recognize the potential danger of being so influential and so persuasive that your students build an allegiance to you rather than to the gospel. Now that is a wonderful problem to have to wrestle with, and we would only hope that all of you are such charismatic teachers. But there is a genuine danger here. That is why you have to invite your students into the scriptures themselves, not just give them your interpretation and presentation of them. That is why you must invite your students to feel the Spirit of the Lord, not just give them your personal reflection of that. That is why, ultimately, you must invite your students directly to Christ, not just to one who teaches his doctrines, however ably. You will not always be available to these students. You cannot hold their hands after they have left high school or college. And you do not need personal disciples” (“Eternal Investments” [an evening with President Howard W. Hunter, Feb. 10, 1989], 2). Use of competition. Teachers should be careful in the use of competition in the classroom, especially when students compete individually against one another. Competition can lead to contention, discouragement, ridicule, or embarrassment and cause the Spirit to withdraw. Negative reinforcement. Teachers should use wisdom in expressing disappointment with a class or with an individual student. Most students feel inadequate to some degree and need to be built up and encouraged rather than having their shortcomings reinforced. Sarcasm. Whether expressed by a teacher to a student or from one student to another, sarcasm is almost always negative and hurtful and can lead to ridicule and a loss of the Spirit. Inappropriate communication and language. Teachers should avoid shouting at or arguing with students. Profanity and vulgarity have no place in a religious education setting. Use of physical force. Teachers should never use their physical size and strength to intimidate or coerce a student to behave. Even playful physical exchanges can be misconstrued or escalate into something more serious. Teachers should engage physically with a student only when protection of another student warrants it. Gender-specific language. Teachers should be aware of and sensitive to gender-specific language in the scriptures. Some scriptures are couched in masculine language due to the nature of the languages they were derived from. Teachers should remind students that some masculine terms refer to both males and females. When Adam was told that “all men, everywhere, must repent” (Moses 6:57), the Lord was certainly speaking of both men and women. There are times when the masculine forms are specific and accurate. For example, the members of the Godhead are males, and references to priesthood duties apply to the brethren. Find more video resources here. Best practices for before, during, and after the seminary learning assessment.